A common saying at the Missouri Poison Center is, “treat the patient, not the poison.” Loperamide toxicity should be treated according to the presenting symptoms. Naloxone (Narcan), the antidote for opioid overdose, has shown benefit for reversal of respiratory depression in animal and human studies. A 12-lead EKG should be evaluated for cardiotoxic effects. If the patient is at risk for TdP, continue to monitor and repeat the EKG in 2-4 hours. Low serum potassium and magnesium increase the risk for TdP, so these electrolytes should be checked and maintained in the high-normal range. In the rare instance that the patient does develop TdP, treatment includes IV magnesium, cardiac pacing, and other emergent cardiac interventions as appropriate (lidocaine, atropine, electroshock). In contrast to a prolonged QT interval, the treatment for a wide QRS (>100 msec) is sodium bicarbonate. 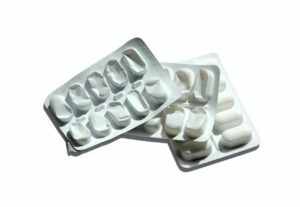 Loperamide overdoses can be difficult to manage with the combination of opioid effects and cardiotoxicity. Our advice is to call the Missouri Poison Center. Our specially trained nurses, pharmacists and medical toxicologist can provide you with the most up to date treatment advice.